CNN reports actor Idris Elba, named People magazine's Sexiest Man Alive, has performed as a DJ at Coachella. The 46-year-old appeared Saturday night at the music festival, spinning house music. Elba says DJing was a passion of his long before his acting career. He worked turntables at weddings and christenings as a teenager in London. Perhaps Coachella will have him back next year! Idris Elba credits his DJ career with "grounding him completely" as it is his "first love" ahead of acting. 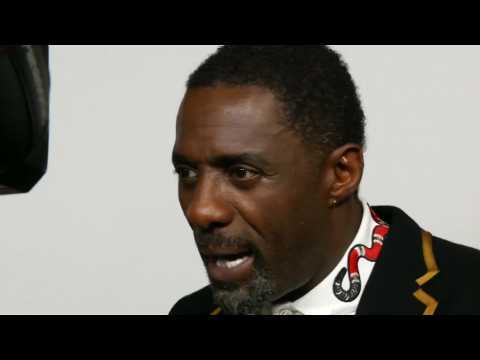 Many people know Idris Elba for acting roles in TV shows like "The Wire," "Luther," and in films like "Thor." But did you know that he also moonlights as a DJ? Business Insider reports that Elba even owns a cocktail bar in London where he spins on the ones and twos. One of the biggest surprises is that Idris Elba is playing at Coachella. The news came as a shock to many, including the actor's own daughter who was surprised to see her father's name on the set list. She told E! News, "We're in the same house and you can't even tell me? Why would you do that?" Elba, who has actually been a DJ since his teens, has collaborated with artists including Fatboy Slim and Skepta. He told the voice in 2009, "Actors doing music is corny, I know that's what people think and I accept that. But music has always been a way for me to express myself." Idris Elba is hoping to come off stage at Coachella "proper sweaty" as then he'll know he's been a hit.